Models DRA-TCI-2 and DRA-RTI-2 are linearized temperature transmitters that produce a 4-20 mA process signal that is directly proportional to temperature. These transmitters have exceptionally high input to output common mode rejection (CMR), a high degree of filtering that eliminates false output signals and provides a low ripple current. Model DRA-TCI-2 is available for thermocouple types J, K, T, E, R, S or B and provides exceptional temperature linearization by applying eight segment linearization circuitry. 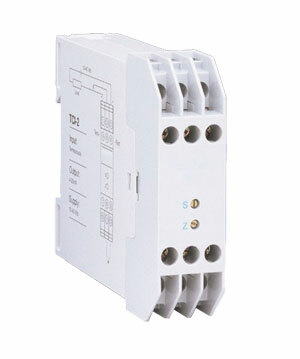 Model DRA-RTD-2 accepts 2 or 3 wire Pt-100 RTDs, alpha = 0.00385. Both models are field rangeable using a set of six internal dip switches for coarse ranging and front accessible zero and span potentiometers for fine adjustment. Test terminals are provided to monitor the transmitter’s 4-20 mA output without disturbing the actual process loop. 참고: Each unit supplied with complete owner’s manual.